Nuvali recently kicked off the second installment of the “Magical Field of Lights” which allows audience to have an immersive experience amidst a dancing field of over 5,000 enchanted LED tulips. 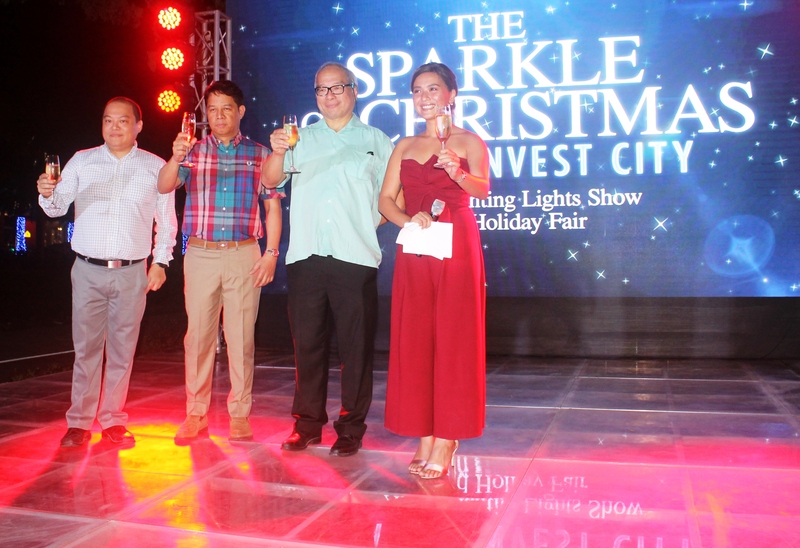 Nuvali marketing manager Jenn Chua talks about the different Christmas treats that are in store for Nuvali’s residents and guests this year. Tell us about the “Magical Field of Lights”. The “ Magical Field of Lights” was the first in the Philippines to introduce a choreographed light and sound show in an open grass field. It uses over 5,000 LED bulbs that when viewed move like enchanted tulips, thanks to the talents of our engineers and designers who developed a combination of light-and-sound technology. The maiden show last year won a Silver Stevie Award for best exhibit display for being the first to mount a light and sound show and installation on an outdoor field. What is the schedule of the light and sound show? The show is open to the public from November 11, 2017 to January 7, 2018 and may be viewed nightly from 6:00 to 10:00 pm at the Nuvali football field also known as The Fields, right beside Ayala Malls Solenad. What other attractions can audience see at The Fields? Aside from the light and sound spectacle, we have also set up light installations around the field like the 25-meter long light tunnel, which is a crowd favorite and Instagram-worthy installation, festive LED Christmas trees, and dandelion light installations. What is different this year compared to last year? 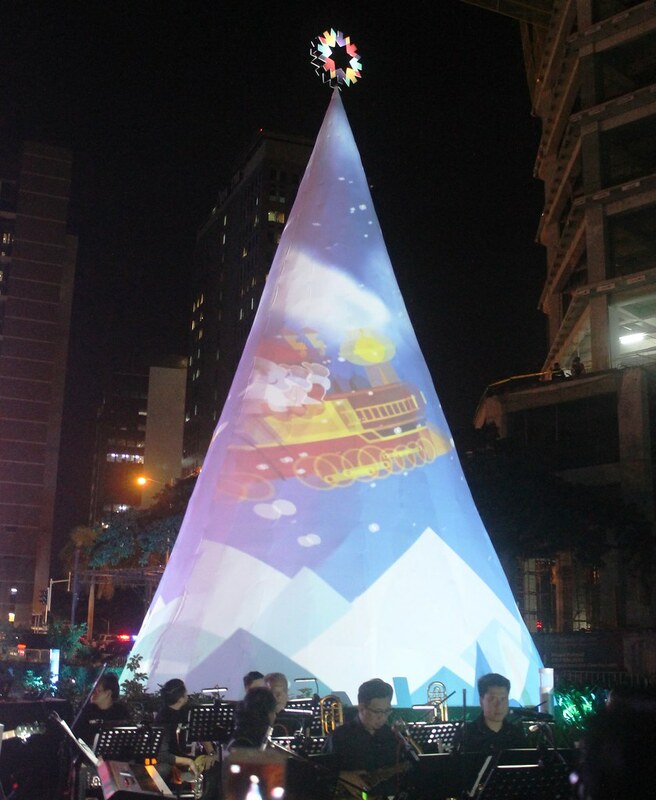 This year, the visitors can immerse themselves amidst the 5,000 LED bulbs between the shows. The lights are grouped in clusters that now allow the visitors to get closer to the lights. We added colorful light spheres scattered all over the fields as well. The show also features three new medleys featuring popular songs such as Kumukutikutitap, Ang Pasko ay sumapit, and Joy to the World. Why is Nuvali holding this light show again? How does it align with Nuvali’s positioning as an eco-city? By deriving inspiration from nature and carefully studying the estate’s distinct landscape, the show would like to represent and highlight Nuvali’s generous 50-50 open-space to built-environment ratio. The “Magical Field of Lights” also encourages the community to enjoy the outdoors and Nuvali’s wide open lush spaces and provide a venue for families and the rest of the community to converge, interact and create memories at Nuvali. 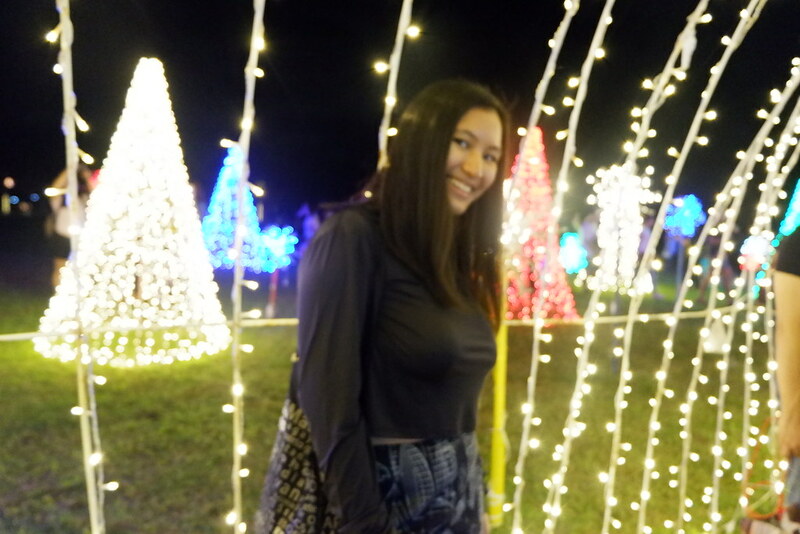 Aside from the light and sound show, what other activities has Nuvali prepared for guests this Christmas? There is the Christmas fair featuring artisanal goods products that showcase traditional Filipino Christmas culinary treats, as well as Christmas bazaars set up at Ayala Malls Solenad. 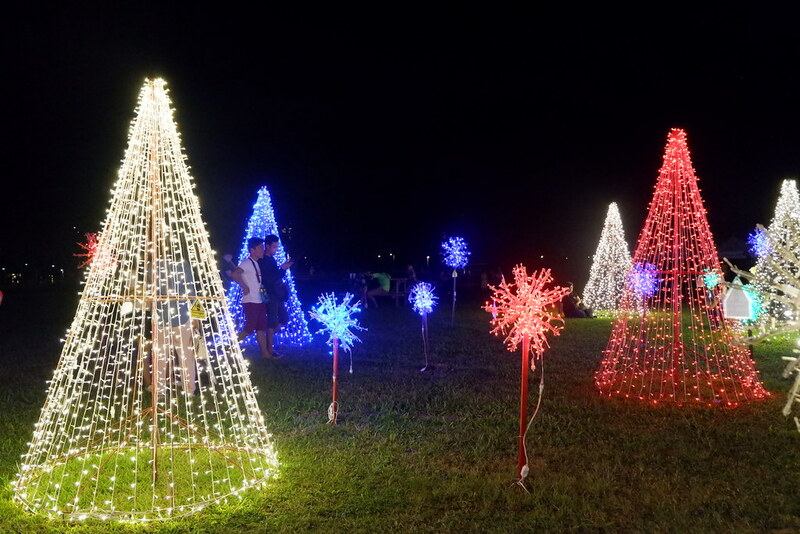 Before and after watching the “Magical Field of Lights”, visitors can visit the shops at Solenad or opt for a staycation at the 150-room Seda Hotel Nuvali. Nature lovers and adrenaline junkies can also check out Nuvali’s outdoor adventure playground and team-building facility Camp N to try out the roller-coaster zipline, Asia’s tallest Free Fall, wall climbing, obstacle courses and bike tracks. How many visitors are you expecting to view this year’s show? We expect to exceed last year’s numbers which recorded more than 900,000 visitors from Metro Manila as well as nearby cities like Laguna, Cavite, and Batangas. Doña Elena, the leading brand of Mediterranean products in the Philippines, brings the famed Spanish dance group, Origen, to showcase a lively and passionate Flamenco performance. 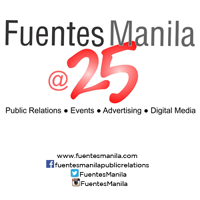 From the soul-baring music to the intensifying dance moves, Filipino audiences are set to experience an authentic flamenco performance inspired by the music of the legendary Paco de Lucia, a Spanish virtuoso flamenco guitarist, composer and producer. Flamenco is a climactic event that compellingly showcases a longstanding art form that features music as one of its rich elements. In Origen, the old and deep sound of the flamenco guitar, in the hands of Alberto Marín is united onstage to the characteristic flamenco sound of the flamenco singers and to the fineness of the flute. The music of the show does not only sound, it speaks and lives. The flamenco dancers, Cristina Carrasco and Javier Serrano, are the ones that culminate the performance with force, dedication and passion. 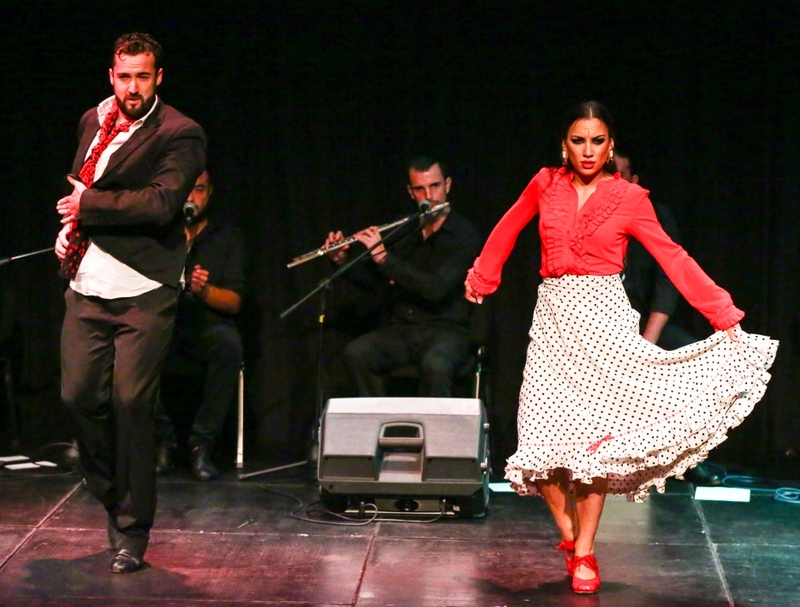 This exclusive Flamenco event showcases the Spanish heritage that anchors Doña Elena as a brand. As a trusted healthy partner that brings the heart of Mediterranean cooking into Filipino homes, Doña Elena’s product line, which includes olive oils, olives, capers, pastas and anchovies among others, enhance everyday meals into healthy and tasty dishes. As the number one brand of olive oil in the Philippine market, Doña Elena Olive Oil brings out irresistible aroma while retaining high levels of antioxidants like polyphenols and oleic acid. It is also a great source of Vitamins E, K, and A that helps to lower bad cholesterol level with benefits on cardiovascular health. Available in Extra virgin, Pure and Pomace, Filipino families are guaranteed to enjoy a healthy range of easy-to-do recipes that are made from 100% pure olive oil from Spain. Without a doubt, chefs and home cooks continue to choose Doña Elena Olive Oil and the other Dona Elena Mediterranean products to make healthy dishes more delicious. In addition, the Doña Elena brand is truly an icon that guarantees excellence in quality and premium taste at a reasonable price. RTL CBS Asia just took fun and excitement to a whole new level with a weekend getaway for the entire family. Now on its third year, the RTL CBS Summer Fair returned bigger and better than ever with a slew of attractions as well as activities that let everyone enjoy a rare moment under the spotlight. 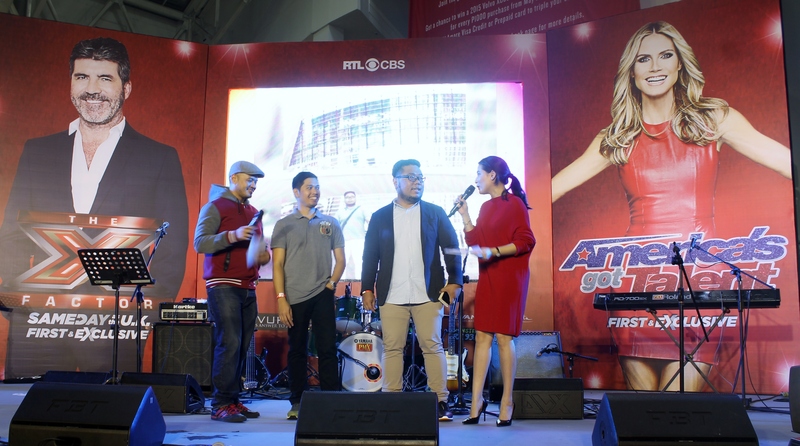 The three-day festival drew in crowds at Glorietta Makati from May 26 to 28, bringing to life some of cable TV’s most talked-about shows such as The X Factor UK, The Late Late Show with James Corden, and Scorpion. Among the highlights included The X Factor Stage and the Carpool Karaoke Booth where fairgoers unleashed their hidden vocal prowess. As for the more physically inclined, the Scorpion Laser Room and a Velcro wall offered an adrenaline rush that had guests coming back for more. Many lucky fairgoers also brought home several prizes from exciting activities including an ice cream eating contest as well as raffle games from the sponsors. The Summer Fair proved once again that Filipinos are gifted singers as guests belted out songs from classics to today’s radio favorites on The X Factor Stage. Just like in an actual studio, each performance was recorded for the participants to remember this fun weekend. Fairgoers were also treated to a share-worthy musical experience at the festival’s own version of the Carpool Karaoke, where fans of the social media hit got the chance to sing solo or with friends inside a car a la Adele, Justin Bieber, and One Direction with James Corden. High-tech crime fighting got real at the Summer Fair as guests took on the Scorpion Laser Room challenge. With only two minutes to complete the mission, participants had to dodge crisscrossing laser beams fast enough to escape the room and win the day. A Velcro wall further added a bunch of laughter to the event by letting fairgoers both young and old come up with the coolest—and funniest—poses to be captured on camera. The RTL CBS Summer Fair 2017 was made possible in partnership with Novu Hair, Baskin Robbins, foodpanda, Glorietta, Ayala Malls, Monster RX 93.1, SKY, Devant, and Volkswagen. RTL CBS Entertainment is available on SKYcable channels 53(SD) and 196(HD), SKYdirect channel 35, Destiny Cable channel 53 (Digital) and 89 (Analog), and Cablelink channels 37(SD) and 313(HD). A festival of fun and entertainment including karaoke, laser room, Velcro wall, and raffle games welcomed guests at the RTL CBS Summer Fair 2017. The destination for the best mix of reality, drama, comedy and daily entertainment. Featuring shows express from the US and UK including top-rated dramas Bull, Scorpion, and Elementary; the biggest talent competitions in the world, America’s Got Talent, Britain’s Got Talent and The X Factor UK; dailies Entertainment Tonight, The Late Show with Stephen Colbert and The Late Late Show with James Corden. It is home to some of the biggest award shows in the world aired ‘LIVE,’ including The Golden Globes, Screen Actors Guild Awards, Critics’ Choice Awards, American Music Awards, People’s Choice Awards and Billboard Music Awards. Globe Telecom is set to open its world-class Iconic Store at the Bonifacio Global City Amphitheater this June 24, 2016. Opening the store’s entertainment facility will be the Philippine version of Green Day’s American Idiot with front row acts from rock icons such as Basti Artadi of Wolfgang, Miggy Chavez of Chicosci, Jason Fernandez and Norby David former Rivermaya vocalists, and veteran thespians Nel Gomez. Phase one of the Globe Iconic Store will be launched, featuring a pioneering glass bridge connected to two separate stores in opposite buildings. This bridge, flanked by two massive LED screens on each side can be converted into a performance space catering to an audience below. This structure is dynamic and innovative and when merged with the creative minds of the Philippine entertainment industry, it becomes an open-air stage with limitless possibilities. While phase two will be opened on the third quarter of 2016 to feature the complete store including a Chroma studio for live production on-site. To debut on-stage at the Globe Iconic store is the time relevant and hit musical Green Day’s American Idiot. The musical is about a journey of three young men as they face the harsh realities of the world around them – a symbolic post-9/11 America – where they must face the challenges of love, teen pregnancy, war, drugs, and loss. The musical is set to the incredibly biting and riveting music of Green Day that features a surprisingly profound understanding of the pains and frustrations of today’s youth. “Green Day’s American Idiot is the perfect play to launch the Globe Iconic Store. With the world class entertainment venue we can provide and its unique location, American Idiot’s dynamic story can fully utilize the facility and deliver an immersive theatrical experience like no other. But more importantly we are doing this to be a medium of awareness of the youth today, and bring a valuable lesson of what today’s generation should avoid such as drugs, peer pressure, teen pregnancy and more.” – says Globe Retail Transformation and Stores management Head, Joe Caliro. The cast features today’s premiere rock and theater acts, to bring a powerhouse performance that represent the current generation. Aside from Jason Fernandez, Miggy Chavez, veteran thespians Nel Gomez, and Basti Atardi. Other cast includes Yanah Laurel (Spring Awakening, Rizal X) and Alex Godinez (Grease, High School Musical) and Ela Lisondra (Disney Paris and Hong Kong, and recent Miss Saigon alumnus). Rounding up the cast are Kai Atienza (GMA 7 artist), Ariel Reonal (seasoned thespian, Hong Kong Disney and Miss Saigon alumnus), Gian Gloria (Euro Pop Berliner Perle finalist, Marco Polo musical), Mako Alonso (La Cage aux Folles, Rivalry), Sarah Facuri (Grease, No Filter), Chesko Rodriguez (La Cage aux Folles, Universal Studios Singapore), Shalee Vicencio (Disney’s Camp Rock, Alice in Wonderland), Mark Tayag (Rent, The Wedding Singer, Grease) and Kendrick Ibasco (Pinocchio, Rivalry). 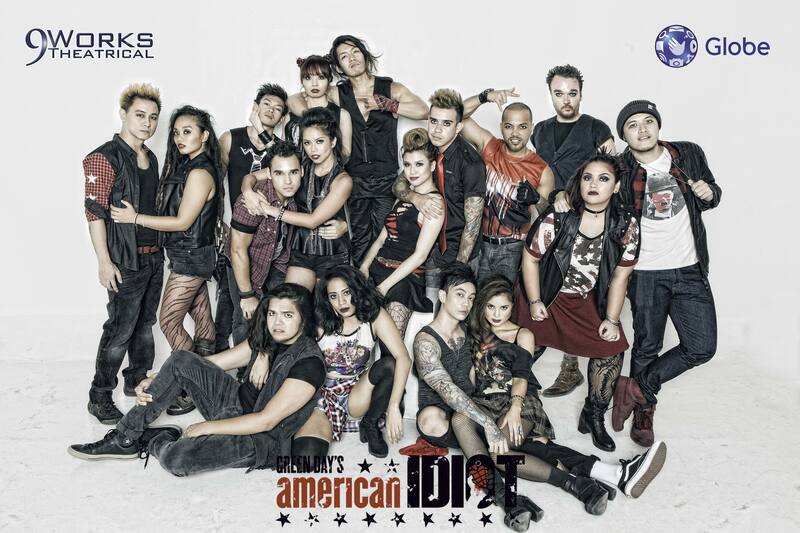 Green Day’s American Idiot will have a total of 9 nights show from June 24 till July 9, 2016. Check out more details at www.globe.com.ph/american-idiot. Tickets are now also available for purchase via Ticketworld at 8919999 or visit https://www.ticketworld.com.ph.